Winter is dry season in Everglades National Park, when the great “River of Grass” dries down to its roots, and animals flock to deeper water in the sloughs. On Taylor Slough (pronounced slew), photographers of all skill levels find spectacular opportunities along the Anhinga Trail, so named for the birds that nest within whispering distance of boardwalk hikers. Patient green herons lean over clear water, surprising a fish now and then. Great blue herons and white egrets pose on long legs in the sawgrass, and raucous purple gallinules carefully place feet with toes as long as their legs on a bridge of lily pads. In the evening, snoozing alligators awaken and move with purpose through the slough, where they pull up on mud banks and wait…invisibly…in the night…watching. An evening tour with a flashlight reveals just how many red-reflecting eyes are present in the dark shadows. Long before Google Earth and easy access to satellite photos, the profound silence of Everglades National Park's sawgrass prairie held a classified secret—one of four Nike Hercules missile sites in south Florida built in response to the Cuban missile crisis of 1962. 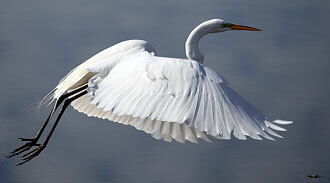 Although Everglades National Park was established to protect wildlife, in response to the gravity of the situation, park managers issued the U.S. Army a permit to build the base within the park. Since 2004, when this Cold War relic was listed on the National Register of Historic places, park interpreters have worked with former Nike crew members and military historians to gather information and artifacts that tell the story of ordinary soldiers at an extraordinary time in history. Tours of the site have become wildly popular, as baby-boomers share their own memories with new generations. Flamingo, just 38 miles from the park's main entrance, is the gateway to Florida Bay—home to world-class flats fishing and the only place in the world to see both the American alligator and American crocodile in the same place. The half-million acres of Florida Bay make up one third of the park, and its seagrass beds provide an essential nursery grounds for fish, lobster, crabs, and other species. Visitors will never forget boating across the bay on a calm summer morning or lazily kayaking through a shady mangrove tunnel. West Indian manatees also like to loll around the marina, scrubbing their sides on dock pilings and eliciting squeals of delight from visitors. Camp here or at Long Pine Key and choose from a variety of ranger-led programs and presentations. 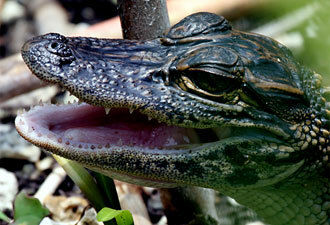 Or just relax, and enjoy the peaceful winter Everglades. Traveling north? Shark River Slough is the focus for visitors who venture into the park from Tamiami Trail. The bridge construction slowing your drive in 2013 is part of the Comprehensive Everglades Restoration Plan, which aims to return the flow of water into the glades to historic levels. At Shark River, you can hike, bike, or take a tram on the 15-mile paved loop. Take a break midway to ascend to the top of the observation tower and stand 50-feet tall in the middle of the Everglades. Further west on Tamiami Trail, drive through Big Cypress National Preserve, and into historic Everglades City. 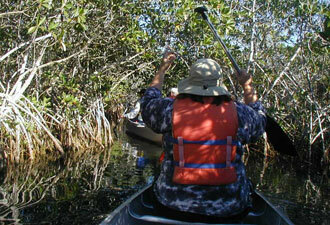 Relax on a ranger-led paddling or pontoon boat tour through the mangrove islands of the Gulf of Mexico. This is the northern terminus of the 99-mile Wilderness Waterway, which spans the western edge of Everglades National Park and is dotted with sturdy “chickees”—camp platforms—built over the water. The adventures you can have in this 1.5 million acre park are endless. Check out the schedule of events for programs you can enjoy today!